Over 59 years of service and experience. A 55,000 square foot warehouse. This is what separates ASA from big name retailers. Delivery and installation that is truly unmatched. Design a website that showcases the quality and decades of experience that come along with ASA. Build the new website on an easily editable system. 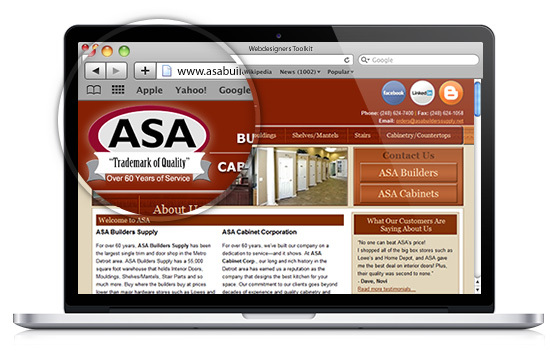 The new ASA Builders supply website was built on a WordPress CMS. Easy editable pages and social media integration helped launch ASA into an exciting new chapter of service. 59 years of service and counting.